Some of the best online poker players in the world play from the confines of Canada. A breeding ground of some the game’s most influential players including Daniel Negreanu, World Series of Poker Main Event Champion Jonathan Duhamel, Michel ‘SirWatts’ Watson and Mike ‘Timex’ McDonald. However, in the post-Black Friday scramble to keep the grind alive, many players from the U.S. moved north to set up shop so keep that in mind as we examine the current group that is the Canadian Top 10. Case in point, the new King In The North is actually from Arlington Heights, Illinois. Connor ‘blanconegro’ Drinan (6,596.41 PLB points), who had been lying in wait in the #2 spot, ascended to take the top spot this month with a series of eye-popping scores including his victory in the PokerStars Sunday 500 in late October for $49,153 and a runner-up finish in the PokerStars $2,100 Sunday High Roller for another $54,307. The scoring surge not only pushed Drinan into the #1 spot in Canada but catapulted him back into the Top 20 in the Worldwide Rankings, currently sitting at #18. The roles have reversed for Canada’s former #1-ranked player, Chris ‘Apotheosis’ Kruk (6,182.05) who now trails Drinan by just over 400 PLB points. A closer look into the number though, reveals Kruk’s amazing staying power. Since we last took a hard look at the Canadian rankings, Kruk has put in very light volume, recording merely four scores – two of which were for over $30,000. In total, Kruk amassed over $73,000 in four tournaments including a third place finish in the partypoker Super High Roller on November 12 for $31,889 and then, the very next day, a victory in the partypoker High Roller for an additional $34,005. Should he continue to post results like these, Kruk may be in line for another stay atop the Canadian rankings. Currently, Kruk sits as the #26-ranked player in the world and is very likely to eclipse $2 million in lifetime earnings in the very near future. The #3 spot belongs to the most recent winner of the partypokerLive Millions Punta Cana, Toronto’s Sam ‘Pudge714’ Greenwood (5515.83). Greenwood has been on a tear, both live and online, not only taking down the Main Event in Punta Cana, but finishing as the runner-up in the partypoker Punta Cana Super High Roller for $242,000 and, just days before that, banking another $124,100 for a third-place finish in the High Roller of the same series. While amazing, none of that factors into his current standing as the Canadian #3. Greenwood seemingly took most of October off from the online grind as he registered only a pair of scores, but he fired up the online client to get some reps in for Punta Cana in early November bringing in four four-figure scores and enough PLB points to hold his position – for now. Fewer than 84 points behind Greenwood sits Troy ‘iamthedeck ftw’ Quenneville. 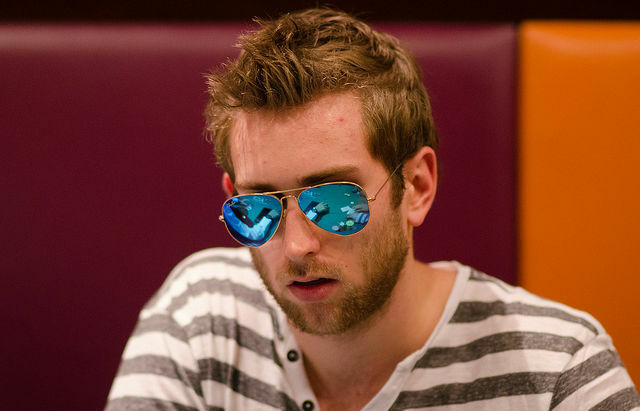 Unlike some of his high-rolling colleagues, the #4-ranked Quenneville is a true grinder – posting results on a near daily basis from the mid-stakes schedule up through the PokerStars Sunday Million. To date in November, Quenneville has posted roughly 80 cashes, including a third-place finish in the $22 Mini Sunday Supersonic good for $5,252. His relentless schedule has him approximately $60,000 shy of achieving $4.5 million in lifetime earnings. The current #69-ranked Worldwide player, Joel ‘jbrown8777’ Brown (5,153.78) rounds out the Top Five. Brown has been crushing the month of November with 36 four-figure scores thus far. That doesn’t include his fifth-place finish in the PokerStars $530 Bounty Builder High Roller for an additional $12,224. His productivity is sure to land him in the pages of the PocketFives.com Milestones column soon as he is set to hit $6 million in lifetime earnings any day now. Doug ‘OU_dlanger610’ Lang (5,067.09) has slid back a few spots in the past month or so and currently sits as the #6-ranked “Canadian”. Understandable though as the New York native has been putting in light volume since September, still benefiting (points wise) from his big PokerStars Sunday Million win back in late July. Joseph ‘Jughead11’ Lacasse (4,833.13) assumes the #7 spot as his ranking has been steadily on the rise. The new #1-ranked player in Ottawa has been putting in a ton of volume and posting a myriad of results on a daily basis. Not only is he appearing in the Canadian Top 10 this month, he recently just breached the Worldwide Top 100 rankings as well. Former #2-ranked player in the world, Mike ‘Pipedream17’ Dietrich (4,442.89) checks in at #8 still riding high off his PokerStars Sunday Million victory in mid-October where he won over $160,000 and accumulated a massive 1,090.69 point score. Sebastian ‘p0cket00’ Sikorski (4,321.57) continues to hold the #9 spot, trailing Dietrich by only 121.32 points and in November Samuel ‘Samuelbt’ Tsehai (4,192.15) scored victories in a pair PokerStars tournaments including the Bounty Builder for $4,757 and the Big $33 for $2,841 to climb into the final spot in the Top 10.